The 50th. Anniversary is so special these days as not many couples can boast reaching it. I created this card for my sister and her hubby and I wanted it to be extra special. The 50th is called the "Golden" Anniversary so I knew I wanted some golden touches here and there. 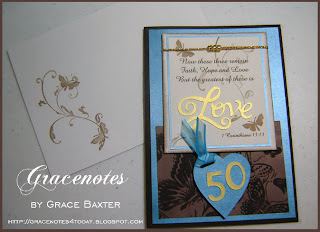 The word "Love" and "50" are cut from gold pearlescent vellum. 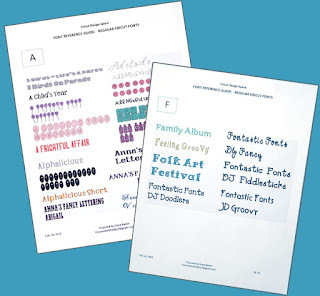 When I came across the vivid blue pearlescent card stock I started getting excited. Don't laugh! I can't help myself. When I discover a great colour combination I can hardly wait to get going on the design. I also found some fabulous brown... with flocked butterflies. To me, these colours and textures look amazing together. Of course, the sentiment on the front had to be all about LOVE. There are so many good ones to choose from, but I liked the simplicity of the Bible verse from the famous "Love Chapter", 1 Corinthians 13:13. The three gold beads stand for Faith, Hope and Love. 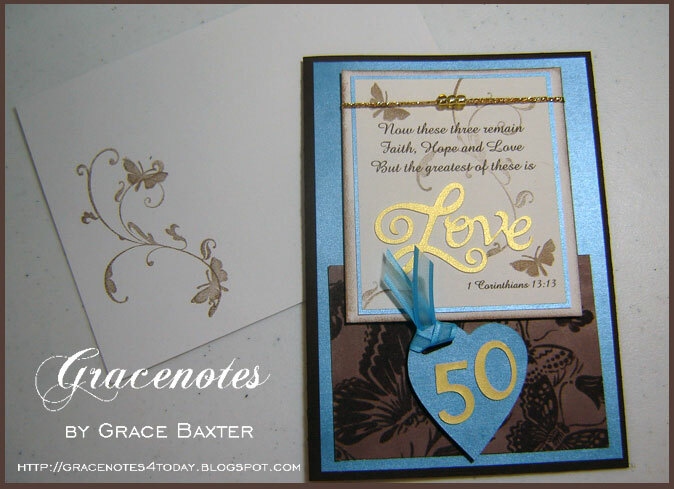 I printed the verse on lightweight cream card stock and stamped some butterflies and flourishes using bronze ink from my Color Box paintbox. Cartridges used: Sweethearts and Fabulous Finds. Wow Grace! 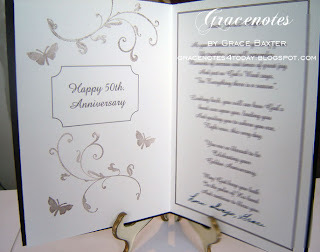 This was a gorgeous anniversary card for your sister! I'm sure they both loved it! Love the verse and the symbolism of the three beads! You do beautful work!!! Thanks for stopping by my blog.... good to see you!! !